In January, Amtrak withdrew its plan to erect gates and fences along the Empire Corridor between Rhinebeck and Stuyvesant. It took nearly a year, but the persistence of local officials and citizens finally paid off. Together, we made clear that the loss of river access and views cherished for centuries must not be sacrificed to Amtrak’s eight-foot-tall fences. Thanks to the New York State Departments of State and Transportation for helping Amtrak reach this decision. 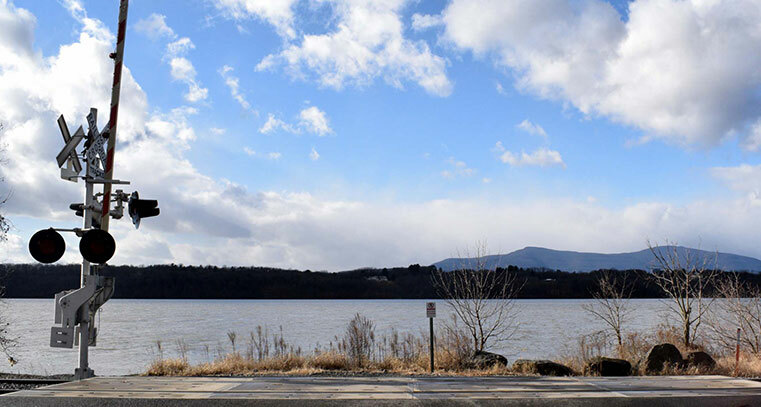 The Jan. 18 announcement came one week after Rhinebeck Supervisor Elizabeth Spinzia and Germantown Supervisor Rob Beaury coordinated a letter to Amtrak signed by officials in a dozen riverfront communities. It urged Amtrak to work with them to reduce safety risks along the rail line while increasing opportunities for boating, fishing, swimming and duck hunting. The letter referenced At-Grade Passenger Rail Pedestrian & Trail Crossings, Empire Corridor—a report commissioned by Scenic Hudson that offers successful and viable alternatives to gates and fences. More than 100 officials and concerned citizens learned about these alternatives at a December forum co-hosted by Scenic Hudson and the towns of Germantown and Rhinebeck. Participants also received updates about the threat to their communities’ public river access and steps they could take to halt it. While this is great news, Amtrak has made clear it will revise the application to reflect a more comprehensive five-year plan that addresses safety along the entire Empire Corridor. It also promises to work with communities before the plan is submitted to New York State, and to hold public information sessions. In other words, while this is a victory, our work is not over—so stay tuned and keep in touch. Complete technical details about Amtrak’s proposal and the latest news about efforts to oppose it are available at gatesgate.org. Also feel free to contact Director of Land Use Advocacy Jeff Anzevino: janzevino@scenichudson.org or 845 473 4440, ext. 221.